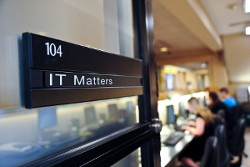 For the past year, the Division of Information Technology has been researching a replacement for Royal Drive, our enterprise file storage system. The goals for a new system were threefold including secure storage, mobile access and content sharing. The research process included the issuing of an RFI for vendors to respond, demos of each vendor’s product, consulting with Gartner research, and conducting a 2-week pilot of select products by a committee composed of faculty and staff. Based on the research and our findings, we will be moving forward with using local network storage and Microsoft OneDrive/SharePoint services for staff, and piloting Dropbox for faculty storage. The faculty pilot will include all full-time faculty for a 2-year period with an annual assessment of utilization. An implementation team is being formed within IT and work will begin shortly. Details regarding the project and its time frame will be forthcoming. Posted in IT News, IT Training and tagged drive, onedrive, royaldrive, storage. Bookmark the permalink. 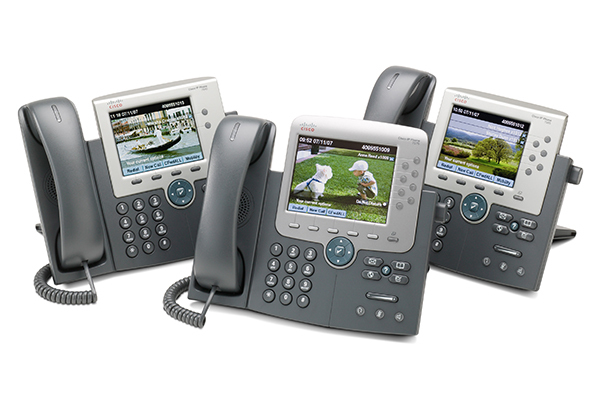 Voicemail allows callers to leave you a message when you are unavailable. With the Alternate Greeting feature, you can have a different outgoing greeting when you will be away for an extended period, such as when you are on vacation, so callers won’t expect to hear back from you right away. Before calling, decide if you want to turn your alternate greeting on immediately or if you want to tell it an “In Date” and time to turn it on. Press 2 for alternate Greeting. When you return you will need to set your voicemail back to the standard greeting. You will not need to re‐record it. View the instructions on how to record and activate your Alternate Greeting for your department. Posted in Uncategorized and tagged phone greeting, phone messages. Bookmark the permalink. The following instructions are for the person responsible for maintaining the greeting portion of the Call Handler for the department. Note: Please contact Technology Support Center at x4357 before changing the greeting if you are changing the options so the callers will be properly routed to match your greeting. 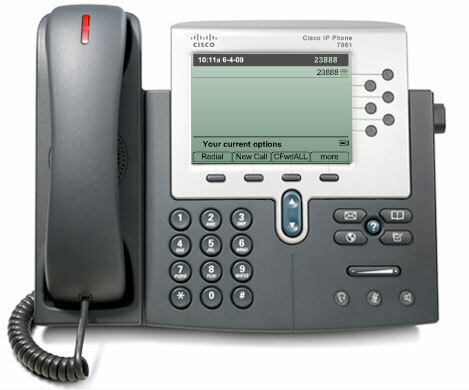 The actual routing for the caller must be managed through Network Services Department. To turn on your Alternate Greeting Press 1 (Turn on the greeting you just recorded. You can continue to record by following the instructions until you are satisfied with what you recorded. Follow instructions from there to exit. When you need to put the original greeting back in place you will need to turn off the alternate greeting and play the standard greeting. View the instructions on how to record and activate your personal Alternate Greeting. Posted in IT News, IT Training and tagged phone, phone greeting. Bookmark the permalink. The employee directory is one of the most important and frequently visited features on our portal. As such, it has been redesigned to help you locate and contact people more efficiently. 2. View the Department Directory. View the directory information by department. 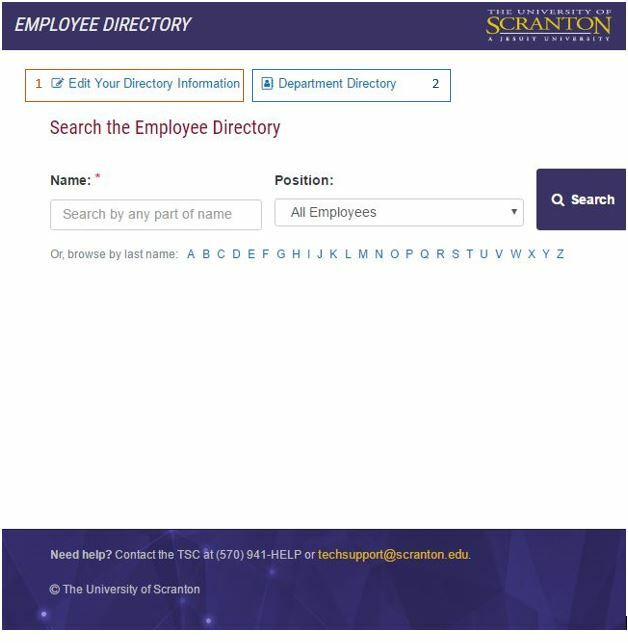 To edit your Department Directory information, please contact News and Media Relations at info@scranton.edu. Posted in IT News, IT Training and tagged Directory, redesigned. Bookmark the permalink. Are you looking for Banner training? The Division of Information Technology have been busy training University staff and faculty these past several months. 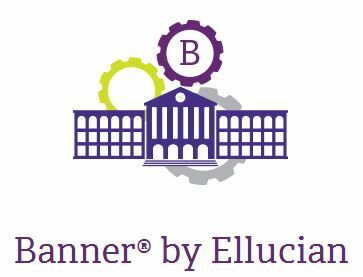 If you are looking for Banner 9 training and have not been contacted, please email julie.brackeva-phillips@scranton.edu. Posted in Computer Tools, IT News, IT Training and tagged Banner 9, Banner XE. Bookmark the permalink. Microsoft Software Center is part of Microsoft’s System Center Configuration Manager (SCCM), which allows IT to deliver and update applications across campus. With this application we can make select software available to download to your computer on-demand. Software Center is available on all managed Windows computers. Type in Software Center and enter to open the program. When Software Center loads, you will see options for software or upgrades available to you. Click on the application to highlight it and then click the “Install” button in the bottom right corner to install the software. You’ll see the status changing from “Available” to “Preparing download” and then to “Installing”. Once the status shows “Installed”, you can exit the Software Center and go to Start -> All Programs to find the newly installed program. As Microsoft releases new Windows 10 feature updates, this is where you will install the latest version. Posted in Classroom News, IT News and tagged Microsoft, SCCM. Bookmark the permalink. Virtual Applications: Access your Computer Resources Anytime and Everywhere. 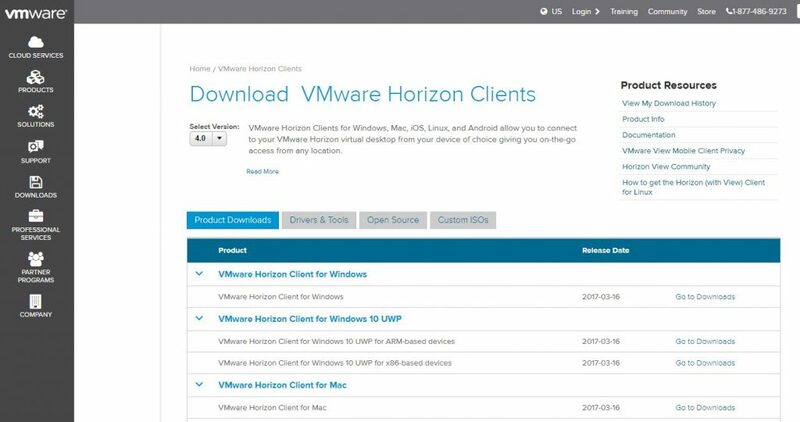 The virtual lab allows University students, faculty and staff to access a variety of University computer resources from any device, at anytime from anywhere via a web browser or free, downloadable VMware Horizon Client. We are now offering a new way to access University licensed software used for teaching and learning for faculty and students. Software currently available as a virtual application includes SPSS, Maple, MATLAB, Mintab and Mathematica. View more information and instructions about virtual lab offerings. Posted in Classroom News, Computer Tools, IT News and tagged Virtual Lab. Bookmark the permalink. When business and technology change occurs so rapidly, organizations must leverage expert technological research and advice to aid in decision making. Gartner offers impartial and invaluable perspectives of the world’s most knowledgeable experts. Gartner focuses on the most important trends in technology representing the critical issues, opportunities and challenges facing us today. Their research covers industries such as education, healthcare and transportation, with topics such as technology in the classroom, governance, latest technology trends and many more. For those of you who may not be aware of this opportunity – students, faculty and staff have access to this resource. 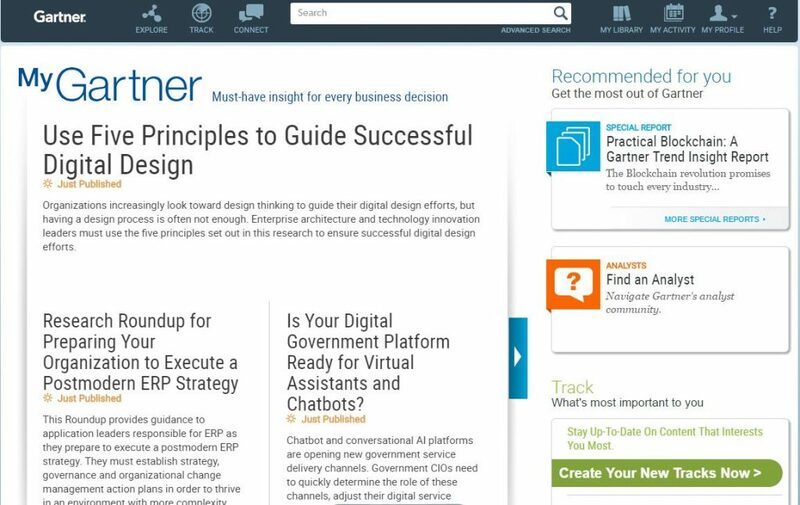 We hope you will explore and leverage Gartner the next time you have a research assignment, want to understand the latest technologies available to you, or to continue your professional development. Let us know what you think! Posted in Classroom News, Computer Tools, IT News and tagged Gartner, IT Research. Bookmark the permalink.